Superfruit Slim has been available for some time and our research suggests nobody has a bad word to say about the product. 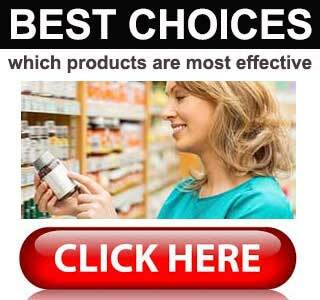 The pills contain some of the best dieting ingredients available. But can these fruit-based diet pills really help people to “look slimmer and feel great”? 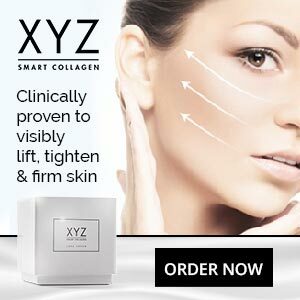 There’s a lot of information available about the product and it all appears to suggest that they can. Superfruit Slim might be a good choice for anyone who has a bad memory because they will only need to remember to take the capsules once a day (2 capsules with water). The recommended time is just before breakfast, so using Superfruit Slim should be easy enough to fit into the daily routine. As with any diet product, best results can be obtained by eating healthy food and keeping active, rather than trying to rely on the pills alone. Acai Berry 4:1 Extract (350mg): A nutrient-rich “superfruit” extract that assists weight loss by providing appetite suppression and speeding up the fat burning process. Acai is well respected for its ability to deliver results. It is also high in antioxidants that can boost the overall health and help protect the body from disease. African Mango 4:1 Extract (300mg): The name says it all. It’s not hard to guess where this superfruit ingredient comes from. African mango has been linked to weight losses of up to 28lbs in just 10 weeks. It is also often praised for it’s ability to help lower cholesterol levels, so it’s a good ingredient to have. Green Tea 4:1 Extract (125mg): Green tea is one of the most respected fat burners on the planet and scientific testing proves that it works. Green tea is also a good source of antioxidants. Caffeine (100mg): A popular stimulant that can clear the mind and improve mental focus. Caffeine is also a mild appetite suppressant, but its real value as a weight loss enhancer is due to its proven fat burning abilities. Panax Ginseng (80mg): An Asian herb that is highly respected for its mind-boosting and health-enhancing qualities. Coenzyme Q10 (60mg): A vitamin-like natural compound that is needed for cell growth and repair. Coenzyme Q10 is also believed to have value as an antioxidant. Black Pepper Extract (6mg): The piperine provided by black pepper has the ability to smooth the absorption of other ingredients. The ingredients used in Superfruit Slim offer a combination of abilities that are a good match for the claims made for the product, so we are satisfied the pills will do everything the manufacturer claims. Bearing in mind the antioxidant-rich nature of many of the inclusions, we also feel Superfruit Slim may be one of the healthiest diet pill options available. It would be hard to find a product that is less likely to cause side effects than Superfruit Slim. The ingredients used are about as safe as they come. Common sense is still required though. Women who are pregnant or breastfeeding a child should always play it safe and avoid taking any supplement unless it has been approved by their GP. People who have health problems will need to exercise the same degree of caution, as will anyone who is using medication. After sales service is very good. Orders are shipped quickly and customers in the UK normally receive their orders within three days. If a problem arises, customer support can be contacted via email or by using the online chat facility on the manufacturer’s website. The other option is to open a support ticket. The guarantee period is also very generous because customers are allowed 60 days to evaluate the product. The ingredients used in Superfruit Slim should allow the product to do everything the manufacturer claims, and the pills come with a long guarantee. These two things alone are enough to convince us of the power of the product. The amount of customers that have good things to say about the product is also a point that did not escape us. The good level of after sales service is yet another plus. 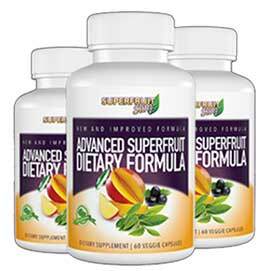 Anyone searching for a diet pill that works needs to take a good look at Superfruit Slim. It’s one of the best options available. Superfruit Slim is only available from SuperFruitSlim.com, so if you see it for sale elsewhere online it is probably a counterfeit product. Each bottle contains enough capsules to last for 30 days and the cost is $59.99 (£45) if you buy bottles individually, but bulk buy incentives are available. Typical incentives include price discounts, extra bottles of Superfruit Slim, and free shipping.